pLOT v1.0.3a is now released. This update allows the customization of colors for primer labels as well as a number of minor fixes (listed in the change log section). pLOT version 1.0.2b is now out. Aside from a few fixes (listed below) this release includes the automates search for primers in your sequence. The display of primers on the map can be toggled on and off by clicking on the "Display Primers" button. Primers are displayed in bold, italicized dark orange font (color customization will be available in upcoming releases). pLOT update to v1.0.1 is now available. This update allows gaps to be part of sequences in your Annotations Library and search strings (amino acid and DNA versions). This results in a more flexible search and auto-annotations than you would get using "N" or "X" as ambiguous DNA bases or amino acids respectively and allow matching of sequences with variable lengths. Gaps are represented by a "-" for both DNA and amino acid sequences. 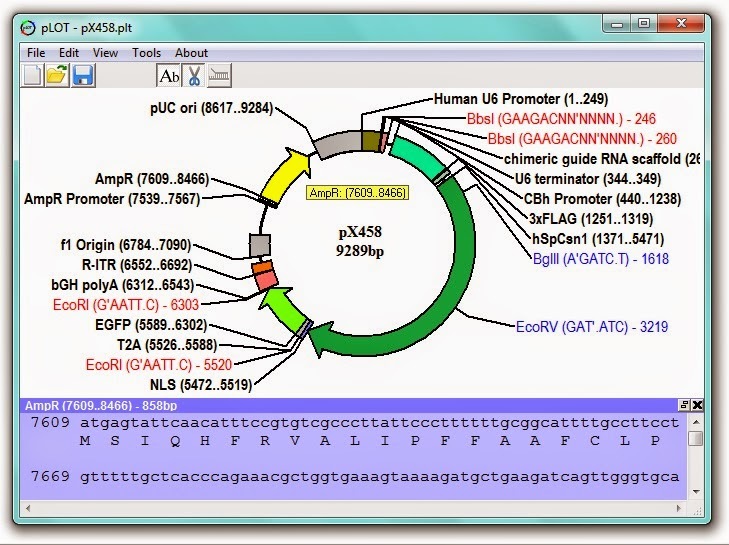 An importable Annotations Library add-on file is also available with a few sequences to demonstrate this. 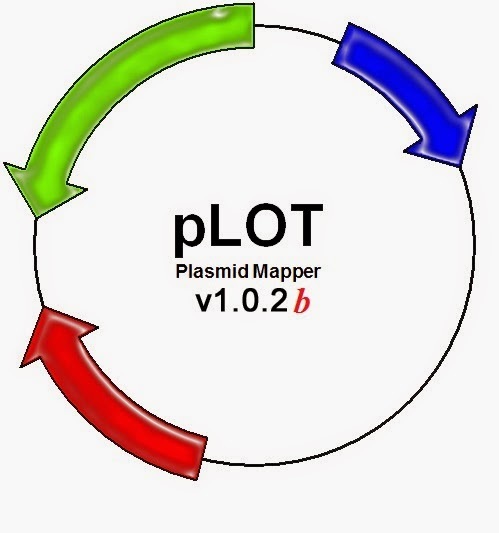 Today marks the release of pLOT v1.0. 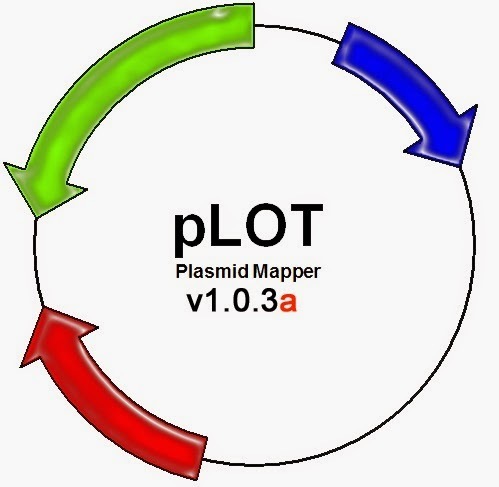 pLOT is a plasmid mapping program for Windows-based PCs that I had initially been developing for my own personal use over the past year (and some change) and later decided to release for free for public use.